It's been another holiday week for me and I've really been trying to power through dissertation writing which, when you're a master of distraction, is actually a lot harder than it sounds. I'm trying not to let the stress get to me and instead I'm just trying to focus on the fact that I'm almost at the end of my degree (hallelujah). So, in between the stress of my dissertation ramblings, here are some of the things that have been making me smile this week. Coconut milk at Caffe Nero. Recently, Jay and I were ranking our favourite coffee house chains because, well, yanoo, that's just the kind of cool thing that we do. And, when it comes to Caffe Nero, I've always loved their epic (accidentally vegan) hot chocolates but found it a little disappointing that the only vegan milk they offered was soy. So it's safe to say I was buzzing when I discovered that they'd added oat and coconut milk to their stores. Try one of their hot chocolates with coconut milk and thank me later! Warm(er) weather. Now, I'd hate to be the one to jinx it but I'm pretty confident that, what seemed like an, eternal winter is finally coming to a end - in mid April but, better late than never, right?! I've actually been able to leave the house coatless for the first time in months this week and I am loving the fact that I don't need to spend all day feeling like an ice cube anymore. Tennis. Because of the warmer weather, Jay and I decided to dust off our tennis rackets and play a few games of tennis this week. Now, I use the phrase 'play a few games of tennis' loosely because a) we know none of the rules of tennis and b) I'm really quite terrible at it, but we have been loving the chance to be active outside again and, let me tell you, when you're as bad as me, you spend a lot of time chasing the ball so it turns out to be a pretty good workout! A 3 Peaks Challenge Fail. Jay and I completed the Yorkshire 3 Peaks Challenge in about 10 hours last may and, as we hobbled back to the car, I definitely uttered the words "NEVER again". But, low and behold, one of Jay's friends asked us to do the challenge with him and being suckers for a challenge, we couldn't say no! However, we set off really late and took a wrong turn so it ended up being more like a 2 peaks then quickly get back to the car before it's dark kind of challenge. But, even though we didn't actually finish the challenge this time, we still hiked 20 miles and had a great time, aside from the extremely sore legs that is! Starbursts. Sweets aren't something I eat very often but sometimes when you've just gotten back to the car after a 20 mile hike, you just need some sugary goodness and Starbursts definitely hit the spot. Until getting back to the car on Wednesday, I'd forgotten just how bloomin' delicious Starbursts actually are. It might have been down to tiredness but those little sweets tasted amazing and left me feeling very thankful that they're vegan! Banana bread. After getting home from our hike on Wednesday evening, my legs were fully out of action and I spent the next couple of days resting up and recovering. Now, I don't know about you, but I reckon total rest days were just made for baking so I decided to whip up my all time favourite banana bread which left the house smelling amazing and, more importantly, tasted really, really good. Uploading a YouTube video. 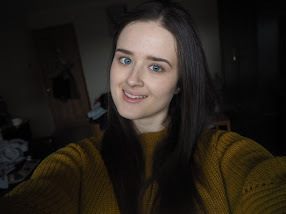 Starting a YouTube channel is something I've wanted to do for the longest time and this week I decided to push my fears aside and just go for it by uploading my first video! Being, just a little, food obsessed, it seemed only right that my first video was a What I Eat In A Weekend, but since then I also vlogged my 3 peaks experience and have plenty of other videos on the way! If you'd like to have a nosy, you can find my channel here. haha, yeah the eating is definitely the best part!